RA Power Solutions specializes inInsitu crankshaft grinding, insitu crankshaft repair and insitu crankshaft machining. 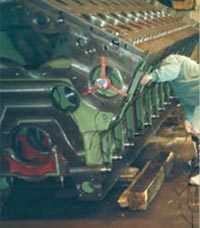 Our team of highly motivated and trained technicians are available 24/7 to attend any requirement related to Insitu crankshaft grinding, insitu crankshaft repair and insitu crankshaft machining. 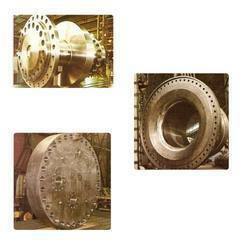 We are offering In Situ Line Boring Of Crankcase Service to our esteemed consumers. These services are widely used in various sectors. Our services are highly admired for their quality and on time completion features. customer can get these services at a very low market prices. In Situ Machining Services offered by us are extensively demanded by our wide range of clients both in domestic and international arena. We have over 33 years of tool making experience in tailoring tools to suit the clients in-situ requirements. We have employed highly skilled engineers, who ensure accurate machining within minimum time in order to provide cost effective services. The Machining of worn out components is undertaken at client’s site. The equipment does not have to be dismantled and transported or re-assembled. Our main focus is to provide accurate machining facilities on site reducing equipment downtime, and increasing productivity. If the equipment cannot be removed we will take the repairs to the equipment wherever it is. Returning holes to standard using Threaded Inserts.